Before you start tipping your nose in the air when I mention the words “Wet ‘n’ Wild,” hear me out. There is a Meg-worthy 8-eyeshadow palette available for FIVE DOLLARS. Do you hear me?!?! FIVE DOLLARS! 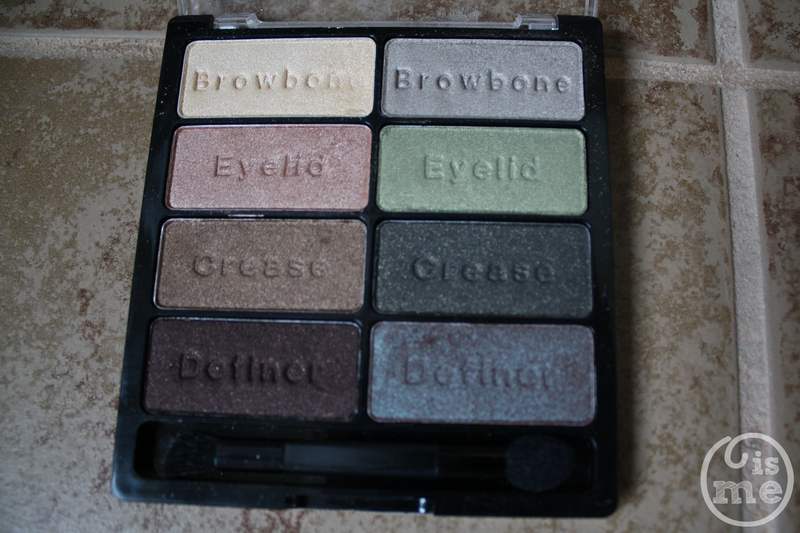 It’s called the Wet ‘n’ Wild Comfort Zone Eyeshadow Palette. It’s available at drugstores and I got mine at Ulta. This first sparked my interest after Mandy had created some fantastic looks with this palette. By the way, y’all need to read her blog. She does some fantastic work and is so great about mixing high end with low end products with absolutely gorgeous results. I had to get this palette. If she could wear Chanel and use this, I could add this to my collection. – The packaging isn’t the greatest, and I’ll never use the brush that came with it. – I like how the shadows are imprinted with what part of the eye they should go on, although I could have figured that out for myself. For eyeshadow newbies, this could be very useful. – I hope this doesn’t break into a million pieces if/when I drop it. – The bottom right “Definer” shade is an exact dupe of MAC’s Club. I kid you not. – I haven’t experienced any fallout from the shadows, I just hope their super soft texture doesn’t let them crumble in the pan. Bottom Line: You can’t beat the price and quality of this product! Have y’all come across some worthy beauty steals lately? Do share!